Canada's military justice system is in danger of being blown up following a bombshell court ruling that found the current process of trying service members for serious crimes — including sexual assault and murder — violates their charter rights. The ruling was quietly rendered last week by the military's appeals court, and prosecutors are now scrambling to save the current system by asking the Supreme Court of Canada to stay the decision until it can make its own determination. But even as some inside the Canadian Forces warn about the damage the ruling would cause if it's allowed to stand, others say it's long overdue — and should spark a much-needed overhaul of the system. The case in question dates back to December 2014 when military police charged an Edmonton-based soldier, Master Cpl. Raphael Beaudry, with one count of sexual assault causing bodily harm. The Charter of Rights and Freedoms says anyone accused of a crime with a maximum sentence of five or more years can request a trial by jury — except in cases involving military law tried before a military tribunal. But a special provision in the National Defence Act, which regulates the Forces, says civil cases such as sexual assault and murder can be considered military law even if the alleged offence was not related to an accused's military service. As a result, when Beaudry asked that his case be heard by a jury, it was denied and he was found guilty via court martial. But in a majority ruling last week, the Court Martial Appeals Court found that "civil offences are not offences under military law" — meaning Beaudry and others charged with serious criminal code offences should be allowed to stand trial by jury. 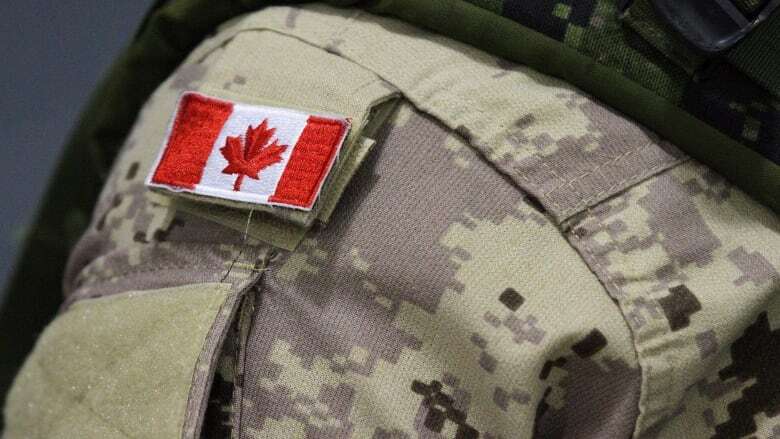 The ruling, endorsed by two out of three members of the military appeals court, does not affect military-specific offences such as desertion and disgraceful conduct, nor does it apply to crimes committed by service members while deployed outside Canada. But it does leave dozens of criminal cases currently in the military justice system relating to sexual assault and similar common offences — as well as the future of addressing such cases with the court-martial system — in limbo. While Beaudry is far from the first to challenge the constitutionality of the military justice system, and the Supreme Court had previously agreed in March to consider the question, those previous cases had all been rejected by the lower courts. The military's top prosecutor, Col. Bruce MacGregor, has asked the Supreme Court to suspend the Beaudry decision until the top court can hear an appeal. A failure to do so, he added in a motion filed to the top court, could have widespread implications. "Forty cases currently in the military justice system are affected by this decision, representing over half of our average annual caseload," MacGregor wrote in his motion requesting a stay. Allowing the decision to stand before the top court hears the case would force other cases currently in the system into civilian courts, he added, "creating undesirable delays and jeopardizing the ability to try these cases on their merit." Potentially complicating matters, at least in the short term, is the Supreme Court's Jordan decision in 2016, which imposed time limits on how long it can take for a criminal case to go to trial before it is deemed unreasonably delayed. Military prosecutors are now assessing "all possible options to ensure that any impacted cases move forward expeditiously and are prosecuted to the fullest extent of the law," MacGregor said in a statement to The Canadian Press. "Victims and survivors remain our highest priority, and we are continuing to update them as their respective cases proceed." But even as military prosecutors work to save the system, some of the country's foremost experts on military law are celebrating the ruling — and they hope the Supreme Court will adopt the same view. Retired colonel Michel Drapeau and retired judge Gilles Letourneau insist the ruling will not affect the military's ability to enforce order and discipline, but simply ensure service members are able to enjoy the same right to a trial by jury as all other Canadians accused of serious crimes. "It is really unfair," said Letourneau, who previously served on the Federal Court and the Court Martial Appeals Court. "These are people (military personnel) whose job is to protect the population, and they are deprived of a fundamental right that is given to the population as a whole." Drapeau, who is now a lawyer specializing in military cases, said the ruling confirms the concerns that he and Letourneau have raised about the constitutionality of the court-martial system — and underscores the need for reform. "It is the law of the land and whether or not you are a civilian or in the military, you're a citizen first," Drapeau said. "And the law of the land and the rights that you have as a citizen should take precedent."